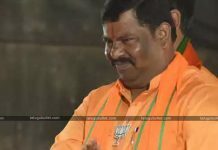 It is a known fact that the most authentic surveys of Lagadapati Rajagopal favor the Mahakutami’s win in the recently released update. 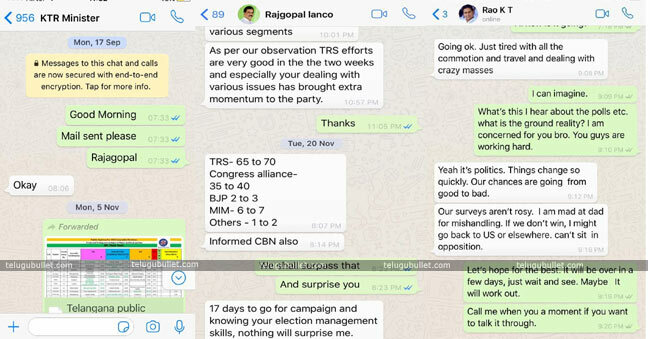 Responding on KTR’s allegations, this former MP of Congress in his fresh Press meet shocked everyone with his WhatsApp screenshots.Immediately after Rajagopal’s survey results, KTR took his Twitter and shared the personal conversation between him and this former Vijayawada MP stating that the latter favored TRS in the survey which he sent on 20th November. 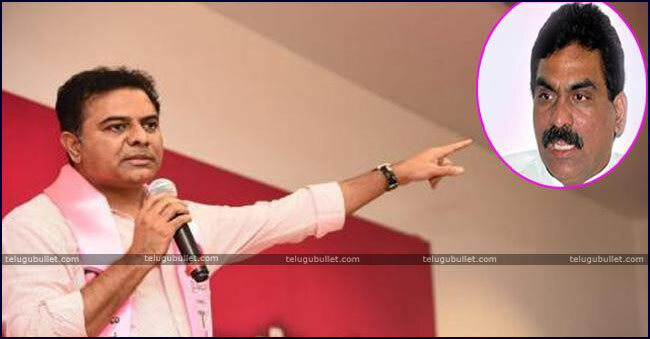 Now it is Rajagopal’s turn to reveal their personal chats which depict a completely different story.One can see that Rajagopal did send the surveys which favor TRS on 20th of last month. 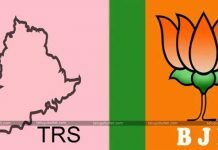 Along with the survey, he told KTR that the TRS party got a good name in the Public and has more chances to win. 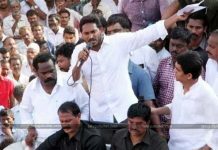 But within a span of two weeks, the dynamics in Telangana changed drastically and the equations favored Mahakutami at the booth level. 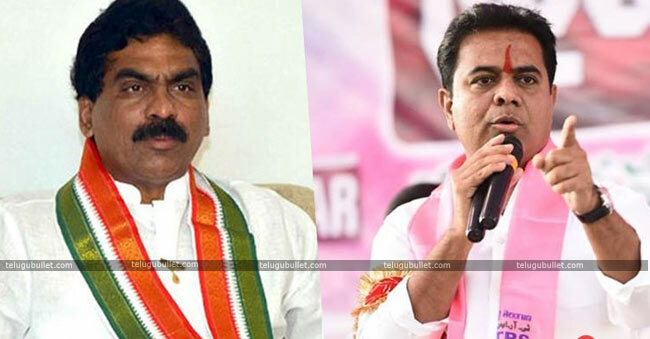 Also in the chats, Lagadapati explained KTR that the failure of TRS’s promises played the spoilsport for which the latter challenged to grab more seats than the Lagadapati’s estimate. Along with the releases, this ex-Congress Leader declared that all his surveys are indeed genuine and it is KTR who asked to send the surveys first. 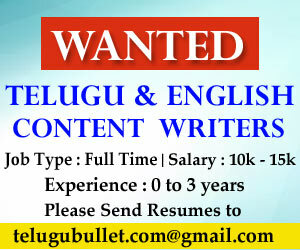 On the same note, he retorted KTR that he is not that kind of person who would change the surveys from the Pressure of other Politicians. 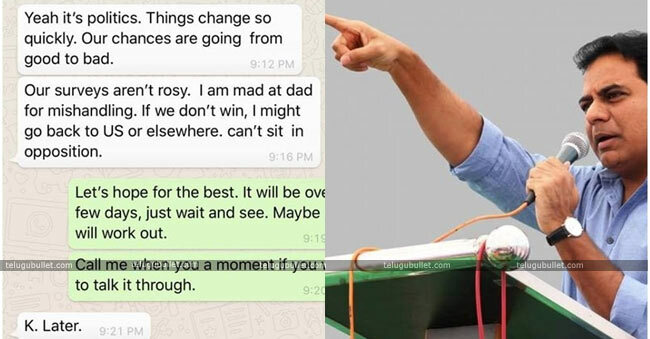 Now, this WhatsApp conversation became the talk of T-State’s Politics.